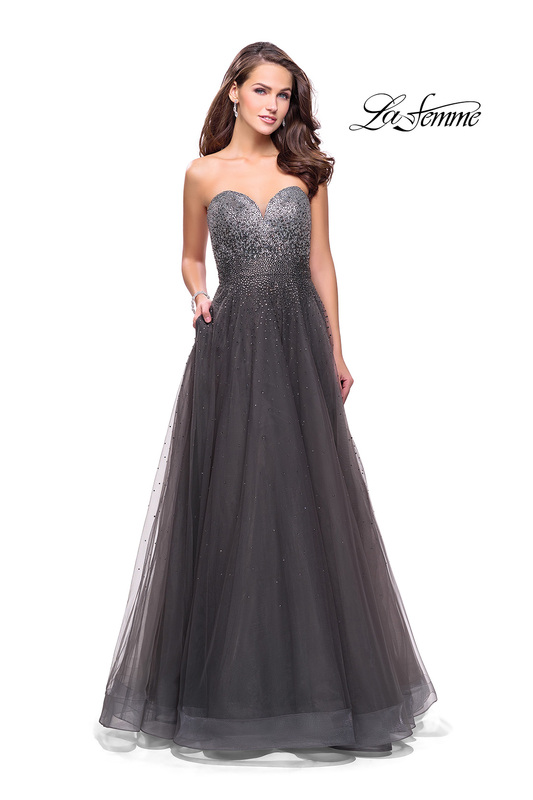 Stunning strapless ball gown with a sweetheart neckline and a tulle skirt. 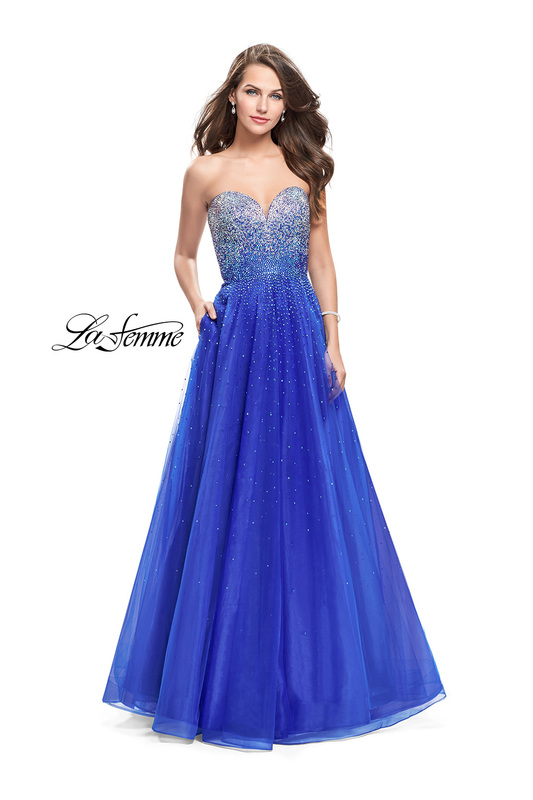 Features metallic ombre rhinestones cascading down the dress. Back zipper closure.